Tunbridge Wells TKD’s first black belt! 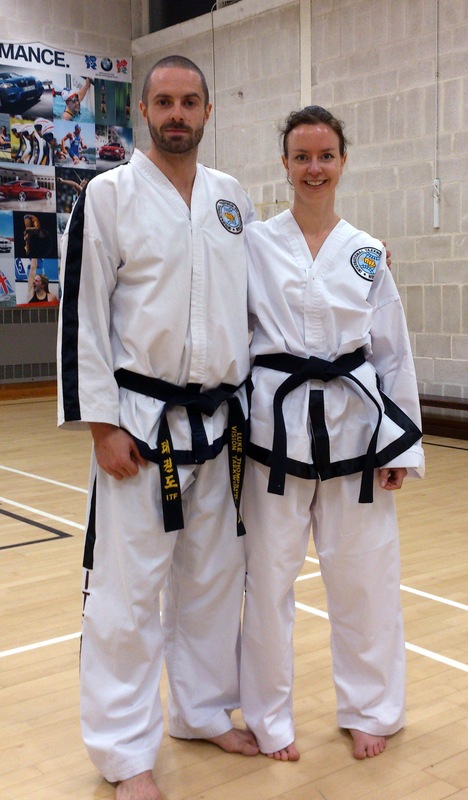 Massive congratulations to Sarah Budd who is the clubs first black belt student! 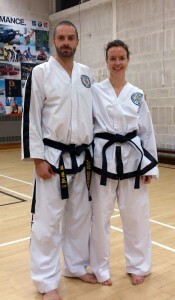 Sarah started training over 20 years ago and was a colour belt training with Mr Thompson in Crowborough. 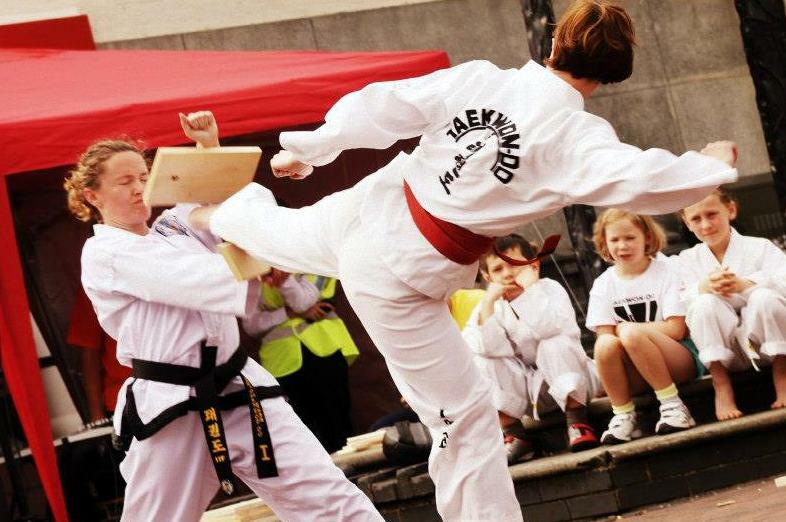 After a 13 year break, travelling and starting a family, Sarah started back in the Tunbridge Wells Taekwon-Do school and strived to reach her black belt. After almost 2 years of waiting her perseverance paid off. It was not easy, Sarah trained twice a week every week at the club as well as going to Crowborough and Tonbridge for extra training with Mr Lear and Mr Dunn. Sarah also had private lesson every week for the months leading up to the test and helped with teaching the classes and entered many competitions, winning English, London and Vision competitions as well as a medal at the World Cup. Sarah has also attended multiple VTA seminars as well as national ones with Master Jedut, Master Van de Mortel and Mr Barada. Sarah is one of the most dedicated students I have ever seen and fully embodies the VIsion spirit of never giving up and devoting yourself to the goal. Well done Sarah, I proud to have you as a student. The club is lucky to have you. But…this is just the beginning for you. Now you are first degree the real work begins. You are ready to start the next chapter of your TKD journey. 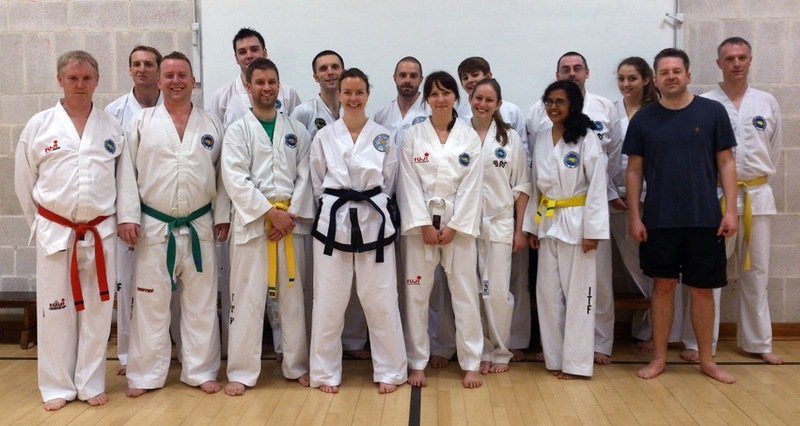 The adults class with guests from Tonbridge and Virtue TKD. This entry was posted in Uncategorized on 05/11/2013 by Mr T.